The 10 Anos was the first Esteban Carreras Ultra Premium Cigar. Aged 10 years, the lush San Andres combined with the peppery Nicaraguan fillers leaves satisfying strength combined with sweet hints of cocoa. All cigars come Box Pressed and in 20 Count Boxes. 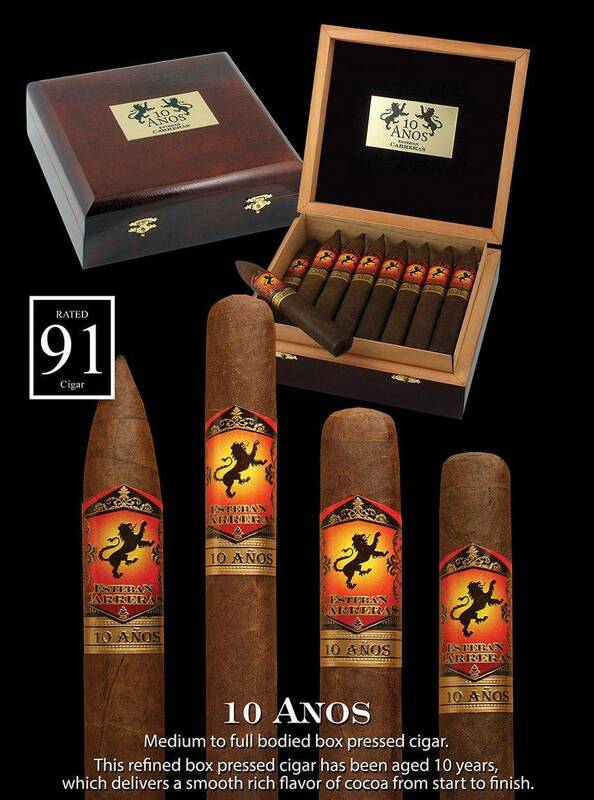 Rated 91 by Cigar Aficionado.